The second part in the ‘Harry Potter’ spin-off provides twists and glorious visuals, but has too much plot to truly soar. These beasts are overburdened. The first ‘Fantastic Beasts’ movie had a lot of heavy lifting to do. It needed to establish a world connected to the Harry Potter universe, but also one that was self-contained. It had to introduce several busloads of new characters and kick off a story complex enough to sustain another four movies (at least). With all that done, the second instalment should have earned itself some breathing room: a bit of time to cut loose and enjoy the possibilities of a new magical universe. But as beautiful and inventive as it is, ‘The Crimes of Grindelwald’ often feels like we’re starting the world-building all over again. Trying to establish where everyone is at the beginning of this sequel without giving too much away is going to get confusing, so sorry about that. 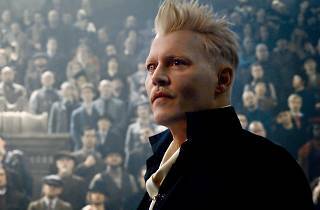 Anyway, fascist wizard Gellert Grindelwald (Johnny Depp, looking like half of Jedward after a few rough decades) has broken out of jail in London and fled to Paris to lay the groundwork for a wizard uprising. In order to stop him, the wizarding government approaches Grindelwald’s ex-friend/possibly lover Albus Dumbledore (Jude Law, relishing his fairly brief screentime), who refuses the mission but enlists the help of animal-lover Newt Scamander (Eddie Redmayne) for a more secret version of the same mission. There are about eight other major characters involved, but we’ve only got so much space. Short version: a wizard war is a-brewing. Moving most of the action to Paris gives the film’s creative team the opportunity to run wild with some gorgeous production design. Visually, the world couldn’t be richer. Our progress through it, though, feels sluggish. As a screenwriter, JK Rowling is ambitious. She wants to pack in huge amounts of story – and there will be revelations that send dedicated fans back to the novels to re-evaluate certain events – but she plots for books, not for the screen. There are so many characters to service and so many rugs to pull that momentum can only ever be slow, because of the sheer volume of exposition needed. This story would be thrilling and have space to do its juicy saga justice in a 500-page novel. In a 135-minute movie, it’s a bit jumbled and rushed. Several major characters, particularly rebellious government witch Tina (Katherine Waterston), don’t get a lot to do because there’s so much to squeeze in. 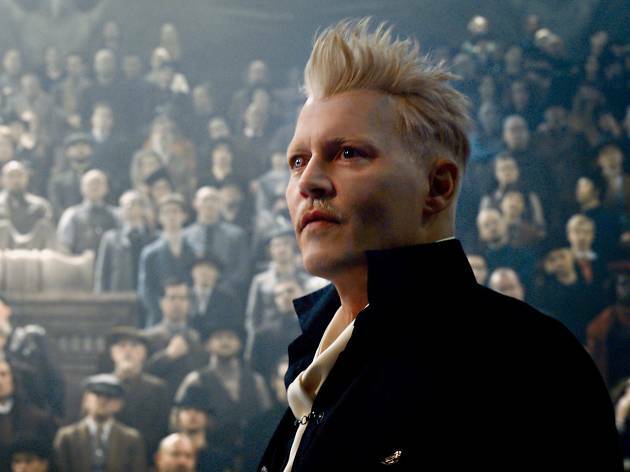 With its callbacks to the Potter universe and a lovely eye for detail, ‘The Crimes of Grindelwald’ has bags of charm and a warm familiarity, but too many characters and too much plot are weighing this beast down. I was so pleasantly surprised by this film, having heard rumours that it might not be up to scratch. I would advise anyone planning to give it a watch to refresh themselves on the plot of the first film as the backstory as well as the references to the Harry Potter series come thick and fast. There are not quite as many great creatures as the first film but the parts the fantastic beasts do have are as enjoyable as you would hope. Some of the foreshadowing for the next film might be a little heavy handed for some but I found myself getting carried away (in a good way) wondering about what all the supposition and signposting could mean. Unlike the original Harry Potter films, they try to pack too much into a single film, which, sometimes makes it hard to follow. There are so many references to the original HP storyline and most of them are simple Easter eggs, others unnecessary. Regardless, magic is magic and if you are not a muggle you’ll have a great time watching it. What an action packed sequel! I was anticipating this movie and in my opinion it delivered. I watched it however, in 4dx so the experience was heightened with special effects, wind, rain and moving seats. I won't lie, there were a few unnecessary characters in this movie who played no vital part and their plots were way too diluted for the original story and theme but it didn't stop it from being a good movie all together. There's a crazy twist at the end and I can't wait for the next movie! This show is a must for any Harry Potter fan, it's always good to JK's magical world on the big screen. The story was hard to follow and I struggled to connect with any of the new characters. Also for super fans you have to not worry too much about canon.